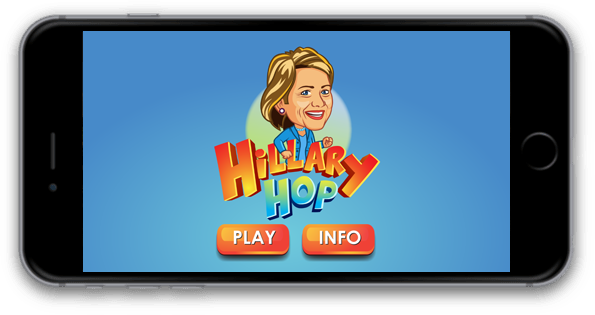 Hillary Hop - Hillary Needs Your Help! Uh oh! Hillary's emails have been leaked! 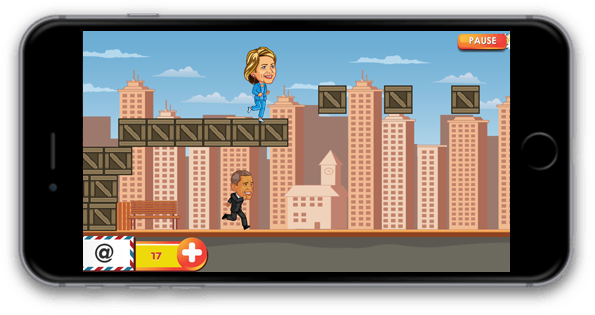 Help her run through the city and collect them all, and watch out for, ahem, obstacles along the way ("China! ")!